In February 2019, Bitcoin transaction metrics are giving stronger hints than ever that the cryptocurrency is close to the bottom of its latest bear cycle. Data from Blockchain, tracking the number of unspent transaction outputs (UTXOs), confirmed transactions by day and exchange volumes in USD for Bitcoin, reveals lows not seen since 2017. BTC/USD 00 has officially endured the longest bear market in its history. Its fall from all-time highs of $20,000 in December 2017 formed the downside of what has become a boom-and-bust cycle for Bitcoin. As Bitcoinist reported, a run-up, crash and slow build-up to a new high has in fact characterized BTC/USD since its inception. Studying the numbers today, however, suggests that after 14 months, the pair is finally ready to reverse upwards from its trough. UTXO numbers have already bounced to levels last seen in October 2018 – before the Bitcoin price dramatically lost one third of its value a month later. Several months prior to that event in June, the total daily transaction count on the Bitcoin network had begun rising – a trend which continued with the exception of the price breakdown week in November. That number – around 335,000 transactions on February 4 – has not been achieved since January 11 last year, when BTC/USD traded close to $13,000. How Low Can Volume Go? One value which has yet to U-turn meanwhile is trade volume. As the Bitcoin price has fallen, traders have appeared to turn to investors, harboring coins in the hope the market will turn in their favor. USD exchange volume is now lower than at any time since May 2017 – at the time, BTC/USD traded at a maximum of $1800 – the start of a six-month build-up to a new all-time high. 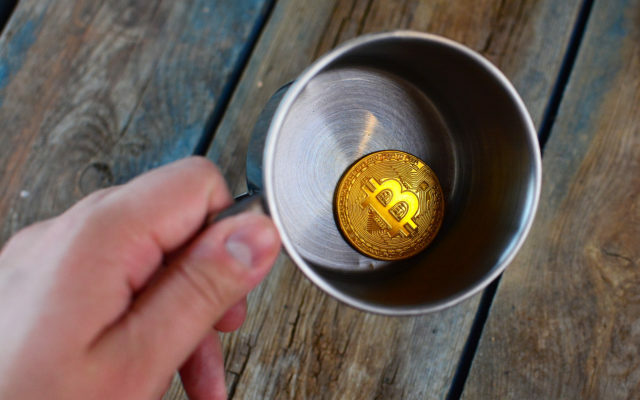 In December, analysts were still predicting Bitcoin would ultimately bottom at around the all-time high seen at the peak of its last bullrun in 2013 – approximately $1300. What do you think about Bitcoin’s transaction metrics? Let us know in the comments below! The post 3 Charts Suggesting Bitcoin Price May Be Bottoming appeared first on Bitcoinist.com.